The Blue Zones by Dan Buettner. The Blue Zones is a New York Times Bestseller and provides “lessons for living longer from the people who’ve lived the longest.” The research is conducted among four groups of people who have a significantly higher percentage of inhabitants living to be centenarians, (100 years of age or older). The four Blue Zone communities are found in the Barbagia region of Sardinia in Italy, Okinawa in Japan,Loma Linda, California in the United States, and on the Nicoya Peninsula in Costa Rica. The “principles of health” found in the book are intended for personal application, but have implications for any wellness initiative, including corporate wellness. Buettner provides research for the “why” of many wellness goals. His studies provide principles of a healthy lifestyle that lead to longevity—a lifestyle that includes activity, proper nutrition, purpose and meaning, spirituality and the ability to deal with stress. Whether you are looking for added impetus to improve personal health or you are looking for supportive research to bolster your employee wellness programming, I recommend The Blue Zones. Death by Meeting: A Leadership Fable…About Solving the Most Painful Problem in Business by Patrick Lencioni. I read “Death By Meeting” in conjunction with “The Five Dysfunctions of a Team.” These two books truly helped me revolutionize my staff and team meetings. Though not all the principles in this book are applicable to our firm, I was able to apply many of principles he lists. The result is that my meetings are no longer lethargic and unfocused. Instead, they are interesting, focused and purposeful. The Dream: Martin Luther King, Jr., and the Speech that Inspired a Nation by Drew D. Hansen. There are a lot of books on the subjects of Martin Luther King, Jr. and the civil rights movement. This book, however, stands out because of its focus on the I Have a Dream speech. Hansen dissects the speech without causing the reader to miss the overall impact of the speech on American history—you see both the forest and the trees. The book is readable, fascinating, and enlightening. The greatest benefits of the book, however, are the lessons learned on communication. Therefore, I would recommend this book to anyone who is involved in public speaking. The Emotionally Intelligent Manager by David R. Caruso & Peter Salovey. This book was recommended to me by a friend who provides training to organizations on the topic of emotional intelligence. He recommended this book as he felt it did a good job of translating the research into practical implications useful to those who would appreciate a less-academic discussion. Caruso & Salovey adequately define various emotions and validate the purpose and expression of emotions. They share the differences between emotions and moods. They provide an excellent understanding of how our emotions can, and do, influence our decision making and relationships. They communicate several ways to learn how to manage your emotions—though I feel this is the weakest part of the book. The research, backing their statements, is well documented and adds credibility to their teaching. Execution:The Discipline of Getting Things Done by Larry Bossidy, Ram Charan, and Charles Burck. This is not a book about capital punishment but an excellent written set of guidelines for getting things done. I am committed to making execution a tenet of my life. Bossidy & Charan focus on grasping reality—a continual theme in the book—and acting on our knowledge of reality to make the right decisions and follow through on those decisions. They make the point that the difference between a company and its competitor is the ability to execute. This includes swiftly making decisive and difficult decisions and then acting on them. They contend that organizations are filled with people who dance around decisions without ever making them. Furthermore, they state that a key to the right decision making is the ability of the organization’s leadership to make a realistic assessment of whether the organization can execute the plan. This is a great one-time read and a valuable reference book for your office shelf. The Fifth Discipline: The Art & Practice of The Learning Organization by Peter M. Senge. Early in my career I came across The Fifth Discipline. Perhaps more than any other book, it shaped my understanding of the critical need for systems, organization and processes. Senge does an incredible job of demonstrating that in order for an organization to sustain growth it must be ever-learning. Furthermore, Senge helps the reader to think about the long-term implications of short-term fixes. Throughout his writings he focuses on communication and valuing the input of everyone in the organization. For those, like me, in Operations, The Fifth Discipline describes the very core of our work. The Five Dysfunctions of a Team: A Leadership Fable by Patrick Lencioni. One of the best books I read in 2008. By applying some of the basic principles shared in this fable, I have been able to bring our staff & team meetings to a whole new level of energy, open communication & productivity. The primary benefit to me was a new freedom of open communication. I highly recommend. The 5 Languages of Appreciation in the Workplace: Empowering Organizations by Encouraging People by Gary D. Chapman and Paul White.I didn’t wait for the book. Having appreciated several others of the “5 Love Languages” books, I had already put effort into applying the principles in my work life. This is a great book for HR practitioners and anyone who seeks to lead and/or manage others. Though there are a lot of similarities to the previous “5 Love Language” books, Chapman and White provide practical suggestions on how to express genuine appreciation in the workplace. It is a great primer on encouragement and appreciation at work. I have already given several away and anticipate leading our staff in a discussion of the basic principles shared in the book. 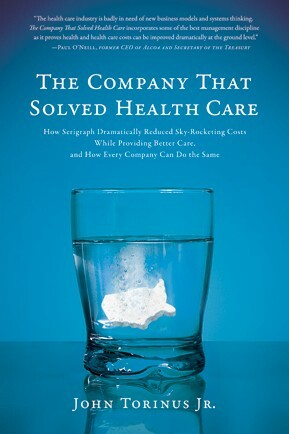 Good to Great: Why Some Companies Make the Leap… and Others Don’t by Jim Collins. Thankfully, I read this book prior to landing at BIS Benefits. I used the phraseology of “having the right people to put on the bus” in my interviews. The BIS team had just read the book together and I was therefore “speaking their language.” We still often talk about having the right people on our BIS bus. I would recommend this book for business owners, CEOs, HR Managers & other key decision makers in your organization. Great by Choice by Jim Collins. Jim Collins writes from research showing why some companies built enterprises that beat their industry averages by at least 10 times; He called them 10Xers. Three core traits of 10X leaders were 1) Fanatic DISCIPLINE, 2) Productive PARANOIA, & 3) Empirical CREATIVITY. While heavy on research, Collins does a great job of using analogies to drive home key points. Two of these, the 20 Mile March and Shooting Bullets instead of Cannonballs are pointed and memorable—and certainly worth applying in business. I also appreciated how various entrenched myths of great leaders were laid to rest by the research presented. 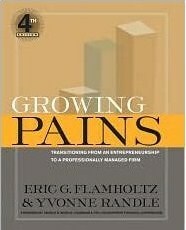 Growing Pains: Transitioning from an Entrepreneurship to a Professionally Managed Firm by Eric G. Flamholtz and Yvonne Randle. One of the most engaging books I have read in quite a while, primarily because it addresses the common pains companies experience with growth. The content of this book is extremely practical to the current stage of growth of my firm and adequately addresses nearly aspect of growth. The focus is on systems & frameworks and the changing roles and mindset of the leadership team. Leading Change by John P. Kotter. Leading Change is a concise and practical masterpiece on leading effective change. Kotter, a professor in the Harvard Business School, carefully lays out the Eight Stage Process of Creating Major Change. This is one of the few books I would easily recommend to any leader or manager seeking to implement change in their organization. Key thoughts include vision, urgency, communication, culture and consistent behavior. Don’t let the 1996 published date mislead you into thinking the thoughts are not relevant to today; in my opinion, this is a timeless business classic. 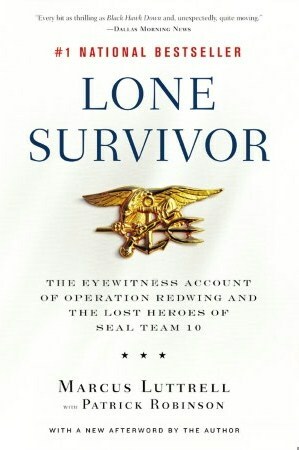 Lone Survivor: The Eyewitness Account of Operation Redwing and the Lost Heroes of SEAL Team 10 by Marcus Luttrell. I debated on whether to put this look on my favorite “business” book list. However, while the book tells his captivating story of Navy Seal Marcus Luttrell—truly did not want to put it down—the insight provided into the training of a Navy Seal is applicable to business. Those of us desiring personal improvement will learn lessons in preparation, devotion and training. HR and Recruiters will learn valuable lessons in selection. One of the key lessons from the book, however, is the importance of making right decisions in the face of fear — fear of how the decision will be misjudged by others. Be prepared, this book will rattle your mind and emotions. Navigating Through Change by Harry Woodward. If I had known this book had been written back in 1994 I probably would not have heeded the recommendation to read it. After all, the current economy has provided a decidedly different context for business than what we had in the early 90s. I am very grateful, however, that I heeded the recommendation. This is an excellent book and is well titled. It provides extremely practical information on how to lead your organization through change. The opening illustration of comparing the business environment to the chaos of white water with swirls, eddies and currents in a turbulent river is well stated and provides the backdrop for practical insight and steps for understanding and facing change. Much of the book focuses on the need for open and factual communication. Furthermore, Woodward fittingly encourages the leader to empathize with his or her team in adjusting to change and provides sensible advice on how to do it. I highly recommend this book to anyone in need of navigating their team through change. Now, Discover Your Strengths by Marcus Buckingham and Donald O. Clifton. The focus is on working within our strengths and unique talents. If we can discover our strengths and work within them, then we are more likely to be successful and enjoy what we are doing. The only caution I have with this book is with the seemingly disregard for our ability to acquire learned behavior. I agree we should operate from our strengths instead of attempting to work primarily from our greatest points of weakness. However, I do believe that we can experience growth and development in those areas where we are currently weak. The One Thing You Need To Know by Marcus Buckingham. Marcus Buckingham states that only 20% of us enjoy what we do and have sustained success in doing it. The problem, he states, is that we get sucked into activities we do not enjoy. The focus of this book is to help us become self aware and work within our natural talents and strengths. He urges us to focus our learning on our areas of strength instead of trying to fix our weaknesses. The book is helpful for personal growth. It is also helpful for anyone involved in the selection of employees and/or who are managing others. The Power of Nice: How to Conquer the Business World With Kindness by Linda Kaplan Thaler and Robin Koval. This is a small, practical, easy to read book that was helpful in reminding me of what should come natural. The book addresses humor in the workplace, listening, respecting others, authenticity & gift giving. Very practical and helpful. The SPEED of Trust: The One Thing That Changes Everything by Stephen M.R. Covey, Stephen R. Covey, and Rebecca R. Merrill I must admit that I approached this book with less than great expectations. I feared it was the son, (Stephen M. R. Covey), riding on the coattails of his well known father, (Stephen R. Covey). I picked up the book, desiring more insight on the subject of trust as introduced in the Five Dysfunctions of a Team. The Speed of Trust was perfect. It is a well designed and researched book covering all practical aspects of trust in a business setting. It is practical and filled with filled with numerous examples of both the positive effects of trust and negative effects of a lack of trust. If I have a complaint, it is that it contains too many stories and illustrations. For this reason it is not a quick read. This will be a book I will keep on my shelf for a long while–just wished I would have purchased the hard copy. Team of Rivals: The Political Genius of Abraham Lincoln by Doris Kearns Goodwin. This is, apart from the Bible, the largest book I have read—and I am so glad I picked it up. In addition to showing how Lincoln included in his cabinet his Republican rivals for the presidency, the book provides an incredible model of leadership. Lincoln was a master at situational leadership. With the backdrop of the Civil War and slavery we see a compelling display, as Goodwin subtitles her book, of political genius. Furthermore, by including the lives of Lincoln’s “rivals” we gain a thorough understanding of the various arguments for and against the war and slavery. It’s a masterpiece of history that left me feeling like I knew the man we now know as President Abe Lincoln. The Tipping Point: How Little Things Can Make a Big Difference by Malcolm Gladwell.Typical of Gladwell, the book is filled with interesting studies, facts and observations. Unlike his next book, Outliers, the conclusions drawn from the research in The Tipping Point are lacking. The book’s primary contribution is the insight it provides on marketing. At times, the book appears disjointed. Yet, Gladwell works to tie his stories to his assertion that there are three agents of change: The Law of the Few, The Stickiness Factor, & The Power of Context. Again, typical of Gladwell, his writing is thought provoking and leaves the reader contemplating how to apply new ideas. UnSelling: Sell Less … To Win More by Peter BourkePeter Bourke offers a fresh approach to selling that not only is beneficial for the bottom line of an organization, but is also rooted in a values-based philosophy of doing business. Unselling would be a great companion to Lencioni’s ”Getting Naked” as he provides practical application of freely consulting in the early stages of what is typically known as the sales process. Bourke demonstrates how the “seller” operates as an authentic, wise and valuable consultant and advisor who is genuinely intent on helping the prospect. The principles he shares may appear to run counter to how salespeople are often trained, yet, his arguments for “unselling” are compelling. I know I would be more apt to do business with the type of salesperson Bourke elevates in Unselling. Visioneering: God’s Blueprint for Developing and Maintaining Vision by Andy Stanley. I read this book on a beach on a vacation back in 2007. This is a good basic book on evaluating our lives in light of God’s plan for us individually. It is an encouraging book of hope. Wellbeing: The Five Essential Elements by Tom Rath and Jim Harter. This book is the best resource I have found on the topic of well-being. One of the great benefits of Wellbeing is how the authors provide very practical advice on increasing personal well-being and also provide Gallup’s research for those who want to understand the data behind the practical application. Five essential areas of well-being are discussed: Career, Social, Financial, Physical and Community, (I would have liked to have seen Spiritual well-being included). A bonus to the book is the opportunity to use Gallup’s online Wellbeing Finder.